Who doesn’t love a good anchor chart!? 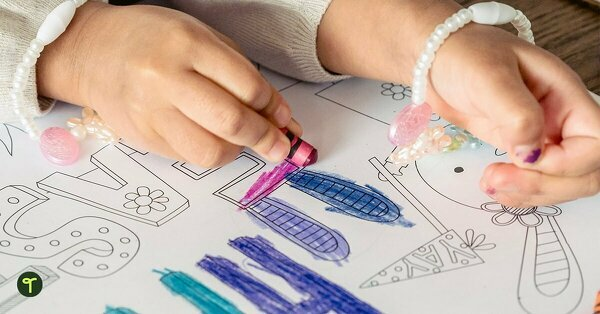 While it’s clear that we love a beautiful, professionally designed poster as much as the next person, there’s just something about a huge piece of paper and a stack of coloured markers that we can’t ignore! Say, what is an anchor chart? An anchor chart is a way to display procedures, processes, strategies or concepts that are important to current units of work. They are a fantastic way to support the creation of a visible classroom. More importantly than that, anchor charts or anchor posters cater specifically to your student group and their learning goals. 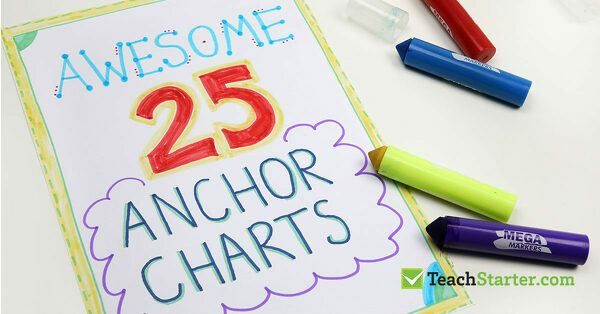 Take a look at these 25 amazing anchor charts and see how their teacher creators have broken down important information for their students. This simple anchor chart tracks whole class reading time! Michelle of @creative_math_classroom uses this simple anchor chart to remind students of their morning routine. Displaying the routine chart allows her to project homework answers simultaneously, streamlining the beginning of her 6th grade Math lessons. New ANCOR CHART ⚓️? my students still need that structure and routine each morning when they enter the classroom, but I was sick of our morning routine taking up precious projector space. Now I can project the homework answers (so they can check) while also having our morning routine displayed ??? Teaching social skills and making kindness the default for your students is so important! We love this friendship anchor chart that features characteristics of a good friend. There are a few different versions of this behaviour anchor chart floating around, but this is one of our favourites! What an awesome layout for this key lower years spelling concept! First-grade teacher Melissa Bergsteinsson @teachingalatteinfirst, adds to this chart each week after introducing a new vowel. Rather than staring at a blank piece of paper, students in this classroom can begin writing with clear purpose! This anchor chart for writing is a great example of how important concepts can be represented visually to reinforce student learning. Another amazing lower years anchor chart here – this time turned into a hands-on activity where students helped to sort and glue the letters, words and sentences onto the chart! Finally was able to do this lesson inspired by @especiallyeducation with my kinders this week. It was a hit! A lot of them are still learning to even a hold a pencil so I thought I would just let them sort and help me glue the letters/words in the right spot?It was also a great time to go over letter names and sounds! Love, love, loved it!? This anchor chart for writing shows how great a simple quadrant-style layout can be for visually representing information. 9. What’s Inside and What’s Outside? You don’t need to be an amazing artist to use drawings on your anchor charts! This stick figure person so clearly communicates these important writing concepts. This anchor chart breaks down the concept of first, second and third person narration using colour and numerals to group information. How great is this anchor chart about reading and comprehension skills!? Effectively taking out the big word (comprehension) and replacing it with a simple title that students can relate to (“Reading is Thinking”), this anchor poster encourages students to be active readers. lots of negative space to help students focus on key points! Do you have a quirky metaphor for a key concept that you’d love to turn into an anchor chart? If emojis help us to increase students’ self-awareness then we’ll happily put them on the walls! 15. F. L. U. S. H.
One for the staff bathroom perhaps? Here’s another great quadrant anchor chart. Fun anchor chart about Nouns! Acrostic poems make great anchor posters too. Colourful, succinct, focused. Another great classroom routines anchor chart! With the main idea in the centre and each element or aspect surrounding it, this is another simple way to visually organise information for your anchor charts. Checkboxes! Checkboxes and lists can be used for a range of anchor chart topics. OREO opinion writing anchor chart ? this was in preparation for NAPLAN a few weeks back ✍?is it weird that the angle of my writing bugs me? Who has time to fix it though ? Mathematics concepts are great to represent visually in an anchor poster! Another great example of how simple anchor charts can make key concepts, tools and strategies more accessible for students. This “Friends of Ten” anchor chart has everything that an anchor chart should. One concept? Check! Multiple colours? Check! Wow! 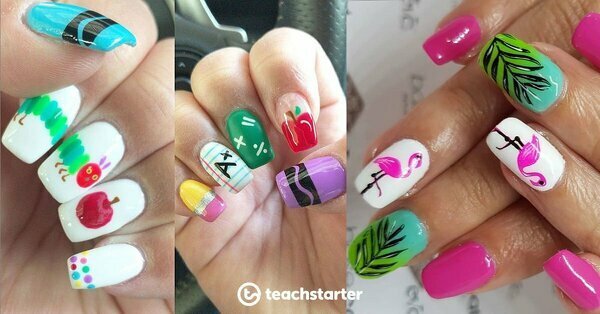 There are definitely some skilled teachers out there with a great eye for colour and visual balance! However, if you are more of a “print and hang” kind of person (like me! ), you will love our range of information posters for your classroom. Print, laminate and display! A set of 7 posters about literary text types, including annotated examples for each. A set of 11 posters about factual text types, including annotated examples for each. 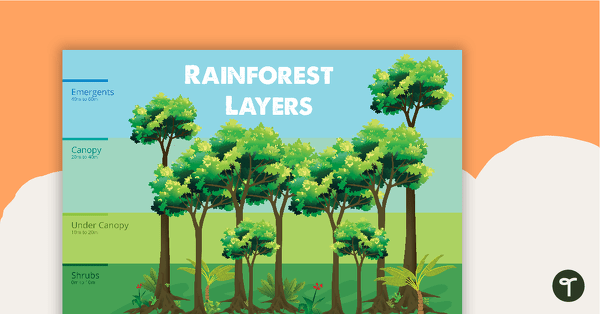 A poster that explains the layers of a rainforest. A poster to visually remind students to cough and sneeze into their elbows. 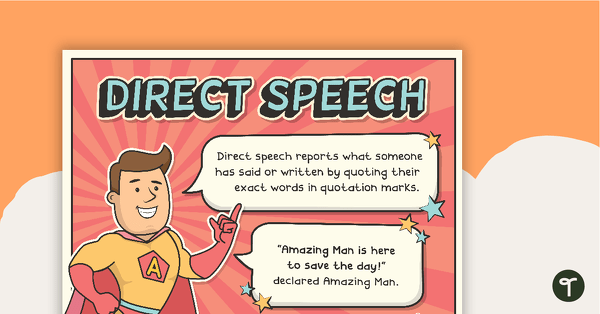 Amazing Man helps students to learn what both direct and indirect speech entails as well as providing examples on how they can use it themselves. 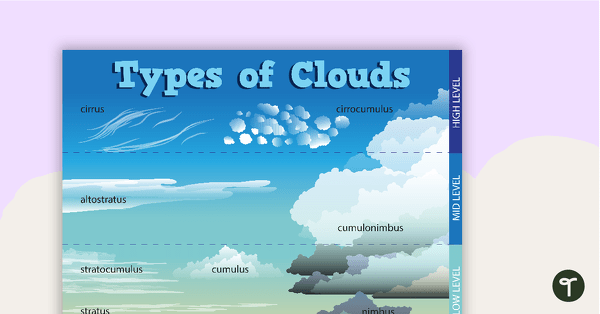 A poster highlighting the different types of clouds. 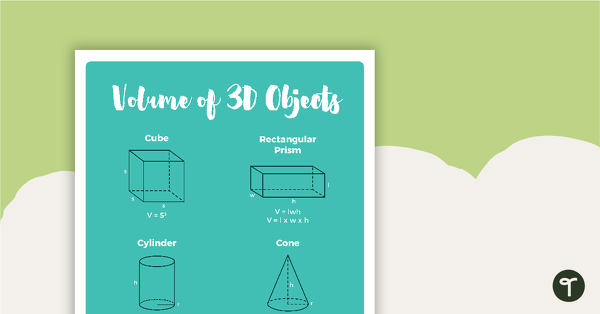 A poster highlighting the formula for finding the volume of common 3D objects. 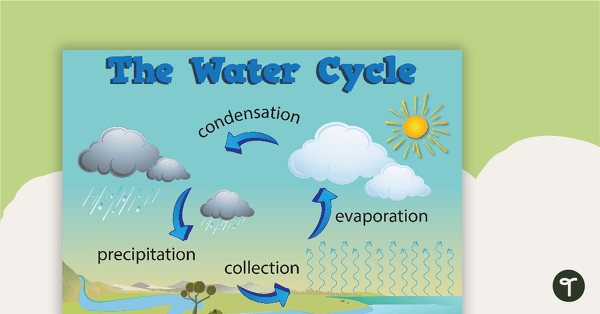 A Water Cycle Poster to show the process pictorially. 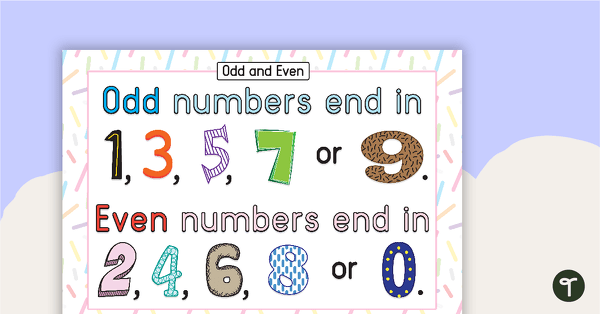 A poster explaining the rules for odd and even numbers. 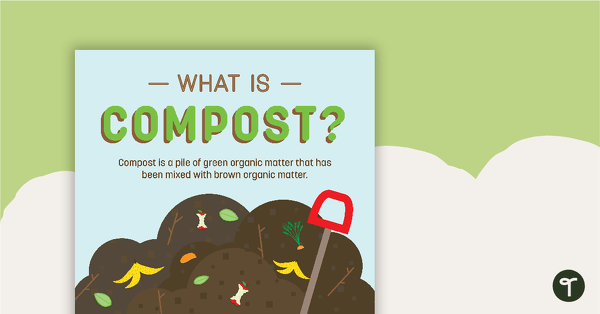 A poster to display in your classroom when talking about compost. 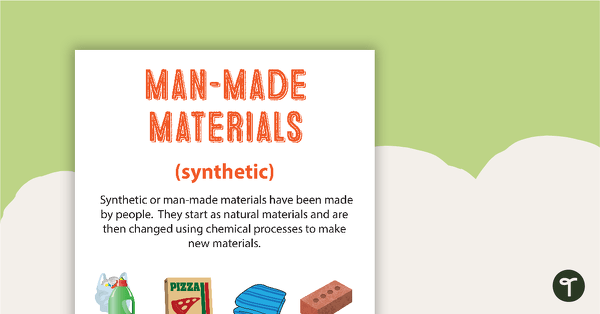 6 posters highlighting different types of materials. 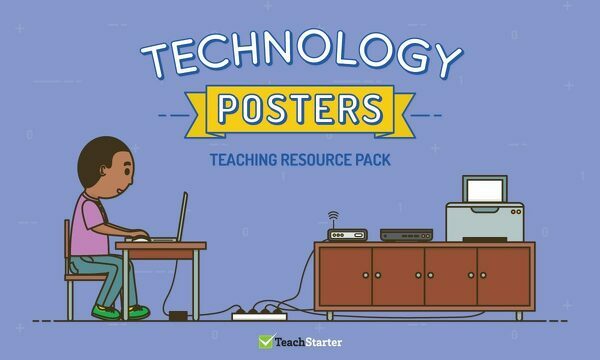 A comprehensive collection of posters covering a wide range of Technologies skills and concepts. Do you use anchor charts in your classroom? What ideas or concepts do you illustrate on your charts? I liked so much your instructions,from that I can improve teaching skills. There are certainly lots of fantastic ideas on these anchor charts. Thank you for your comment!